Remember when Studio Wildcard said it was going to wipe the Ark: Survival Evolved servers prior to launch, and then it said it wouldn't? Well, now it's going to wipe some of them — and it's withdrawing customer support for surviving servers after the retail version hits August 29. Is your head spinning yet? 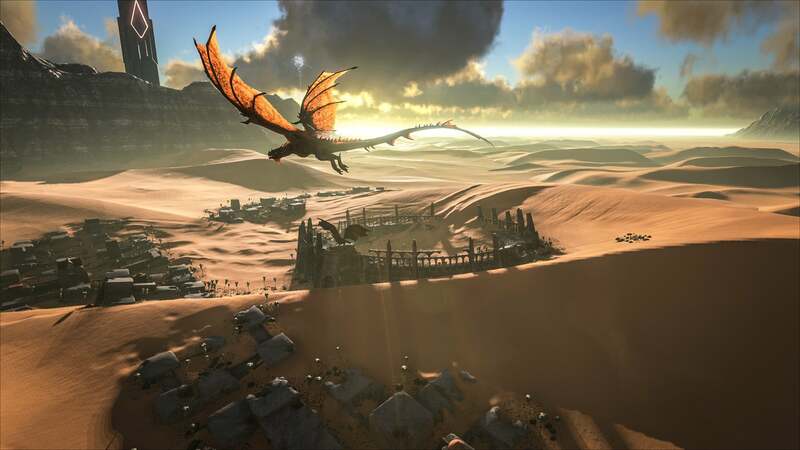 It seems like it's just another day, another bout of questionable decision-making and avoidable controversy from Ark: Survival Evolved developer Wildcard. Following last year's paid-for early access DLC kerfuffle, Ark's recent 100 per cent price increase, and the great server wipe U-turn of 2017, this is just the latest announcement to confuse fans and send them scrambling to save some semblance of progress. Part of the announcement, at least, isn't a complete surprise. During the recent server wipe flip-flop fiasco in which Wildcard first promised players that it wouldn't wipe the servers prior to launch, then told the press that it would, then changed its mind again 24 hours later, Wildcard noted that it may still wipe underpopulated servers in the future. In June, Wildcard told players that it would "keep existing active Official Servers as they are post-ship — no wipe — though at ship we may at our discretion re-purpose certain empty or near-empty Official Servers with 1 month prior warning". 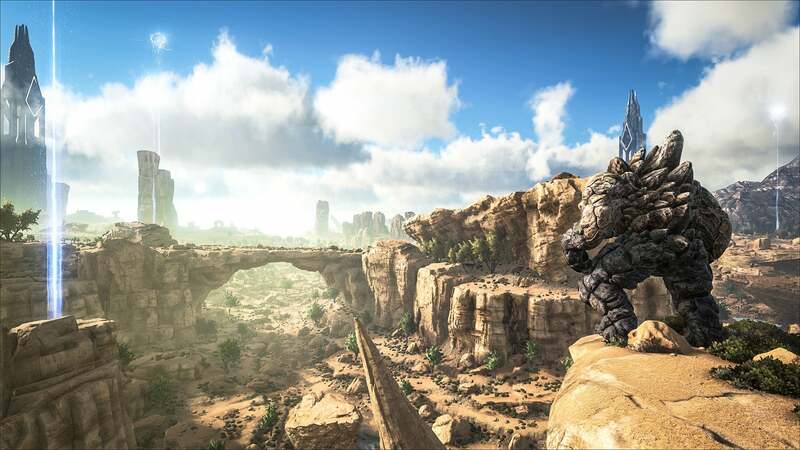 True to at least some of its word, Wildcard has posted a list of 483 "lower population" PC, Xbox and PS4 servers that will soon be getting the chop. Elaborating on the studio's criteria for deletion, community manager wildcardjen explained on Reddit: "PC servers that were chosen average 5 or less active users. Xbox and PS4 had some average 6-7 users, while some servers operated at near zero players for significant periods of times." All servers earmarked for removal will meet their end on Saturday, August 29, in roughly five days' time. That's significantly less notice than the previously touted one-month advanced warning. As such, affected players only have a tiny window in which to migrate their characters and creatures to a surviving server. "It took longer than we'd anticipated in order to determine how many new physical servers we'd be able to purchase at the various data centres we use, which ended up being less than we'd hoped we were able to procure in time for launch," Wildcard told Kotaku. The news that's most troubled long-time players however is that all surviving servers — henceforth known as "Legacy" servers, to distinguish them from the incoming new server cluster — will no longer be eligible for customer support. In other words, if you don't move to the new server cluster and forfeit everything you've achieved so far, you won't get help if something goes cataclysmically wrong in the future. "When the current servers become Legacy servers on the 29th, we will no longer offer Customer Support to these Legacy servers," Wildcard explained in its official statement. "All outstanding tickets to our Customer Support team will be wiped clean on launch day, and no future tickets submitted by those playing on Legacy servers will be accepted. Going forward our Customer Support team will be focused on assisting those present on the new cluster, which will not be plagued by many of the issues that occurred during the Early Access process. Unfortunately it is beyond the scope of our operation to continue to offer support on Legacy servers at this time." The response on Twitter, Facebook, Reddit and the official Ark forum has, understandably, been overwhelmingly negative. Over on the official Ark forums, user Nokosa posted, "So we supported you for years but now you won't support us? The people who helped you better the game? 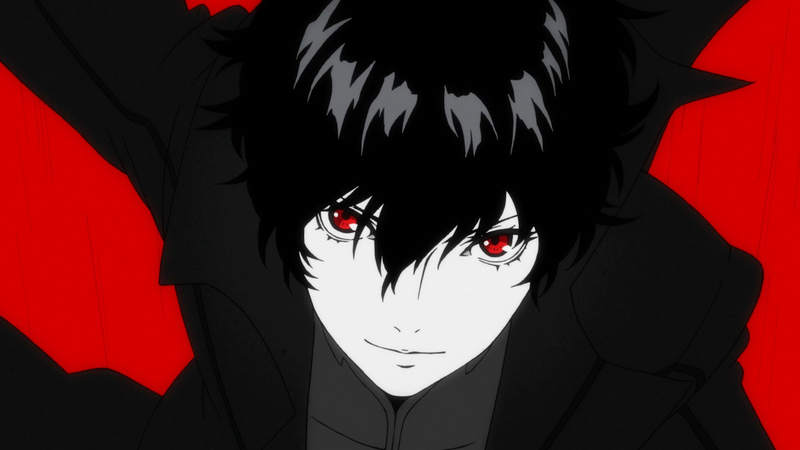 Tell me why I should continue playing." User Dreyd3n shared a similar sentiment: "Wow, I can't believe they will no longer be offering customer support to Legacy servers. We helped BUILD this player base and your game and you are going to shaft us like that? That is pretty messed up to be honest. Shame on you Ark." The comparatively good news, however, is that Wildcard has pledged technical support for Legacy servers. "Not for gameplay issues as those servers have been dupe-ridden," Wildcard told Kotaku, "but definitely for technical aspects. We'll monitor them and address any functional issues should they arise, such as keeping them running properly, and keeping them fully updated." Thankfully, players affected by the newly announced server deletions will at least be able to download server saves so that they can re-host their game elsewhere and continue on in perpetuity if they so chose. These saves will likely become available to download "sometime before Saturday," says Wildcard. I haven't been able to bring myself to play for ages. I used to frequent a primitive plus server with juiced up dino stats, but the tame timers combined with offline raiding was too much for me. The taming times completely put me off playing on official servers. It's absolutely ludicrous how much time you need to spend taming dinos, and the fact that the dev team consider that "okay" for the average player not realising that the average player has nowhere near that amount of time to devote to one task in a single game. I did play more on unofficial servers with much more acceptable taming times and mods such as Structures Plus (which, let's face it, should be the standard, not a mod!). Even hosted my own PC server for a good few months. Eventually, though, it just became same ol' same ol'. The fact they only kept adding more and more dinos (with more and more ridiculous taming requirements) and little else in terms of variety of gameplay eventually saw me move on to other games. How long does taming take on those servers? Depends on what the admin sets the taming rate to. On our server we had it set so that a max level spino would take around 30 mins to tame instead of several hours. This is what happens when you take part in an open-beta-like project such as early access. It's one of the reasons a lot of people shy away from games in early access until their official release, because until that release, you are essentially paying to be a beta tester and nothing you do in-game can be guaranteed as safe or secure from one day to the next.